Brickhouse, Anna. 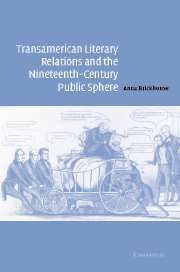 Transamerican Literary Relations and the Nineteenth-Century Public Sphere. Cambridge UP, 2009.